The latest voyage of the starship Enterprise boldly brought in a big box office haul this weekend. "Star Trek Beyond" nabbed an estimated $59.6 million debut in North America, topping industry expectations and winning the weekend box office. "Beyond," which stars Chris Pine and Zachary Quinto as Captain Kirk and Spock, is the thirteenth "Star Trek" film overall in the franchise and third film with the new cast. The Paramount Pictures film received positive reviews from both critics and audiences who gave it an 85% score on review site Rotten Tomatoes and an A- CinemaScore. 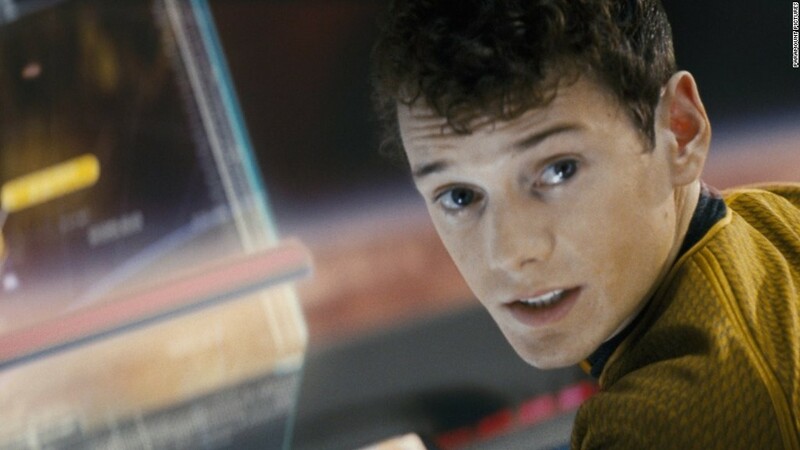 However, the film's opening is behind that of the other two films in the rebooted series, 2009's "Star Trek" and 2013's "Star Trek Into Darkness." "Beyond" is a much needed hit for Paramount following a rash of box office letdowns this year like "Zoolander 2" and "Teenage Mutant Ninja Turtles: Out of the Shadows." 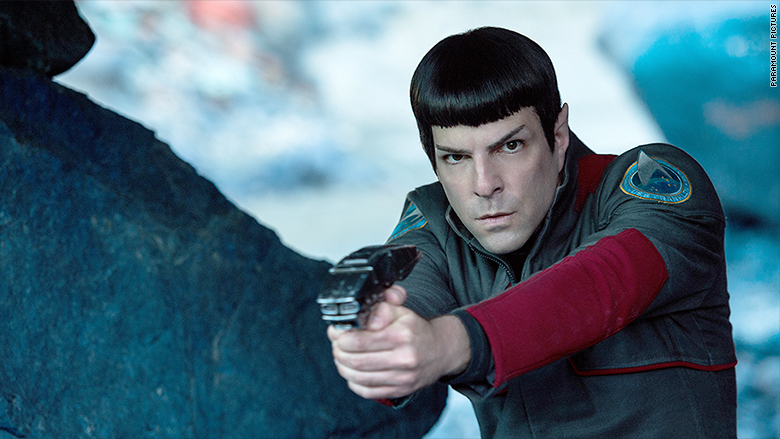 Spock, played by Zachary Quinto, and the crew of the U.S.S. Enterprise had a good weekend at the box office. '"Star Trek' is one of Paramount's crown jewels and a brand that has been under their wing for decades," said Paul Dergarabedian, senior media analyst at comScore (SCOR). "This weekend's solid performance was vitally important to the brand and Paramount's movie division since so much is riding on this and future installments to bring dollars and cachet to the studio." The studio is also going through a transition with its owner Viacom (VIA), which is pursuing a deal to sell a stake in the studio amid legal drama. "Star Trek" is celebrating its 50th anniversary this year, and there's more additions to the franchise on the way. A new "Star Trek" TV series is also set to launch on CBS' streaming service, "CBS All Access," in January. Paramount announced Monday that the next film in the series will bring back Chris Hemsworth as Kirk's father. The studio has not yet revealed that film's release date.